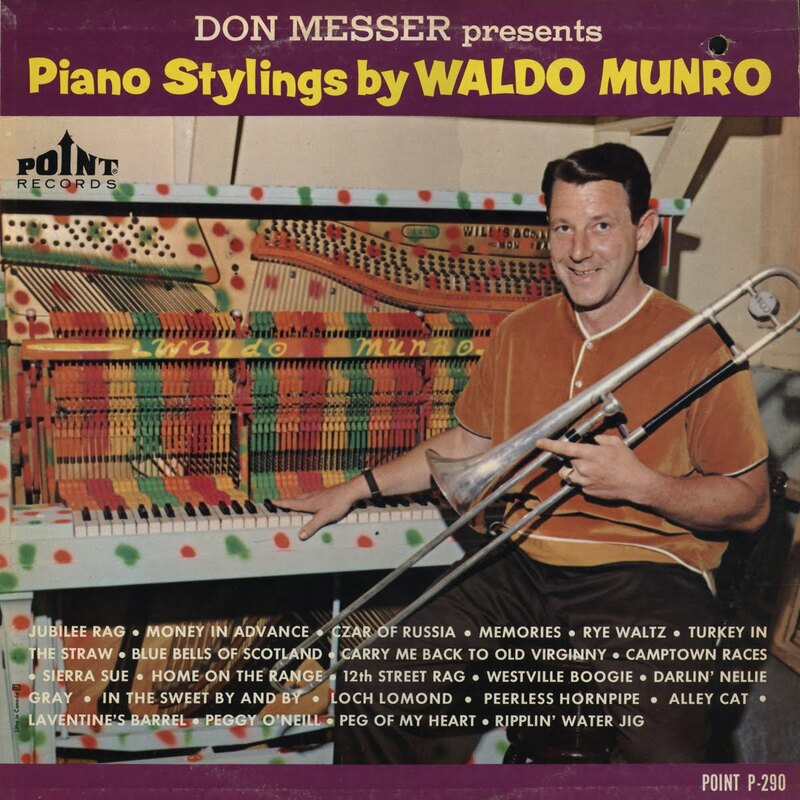 Waldo Munro (1930-2006) is best remembered as pianist in Don Messer's Islanders. He joined the band in 1951 upon the departure of Jackie Doyle, and remained there until Messer's death in 1973. 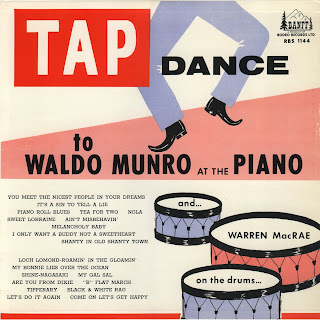 Munro is often thought of in terms of his supporting role with Messer in which he provided the backbone of the Islander's sound, but featured in this post are 39 recordings which show his phenomenal skill as a solo pianist. In his younger days Waldo was a star baseball pitcher around his hometown of Westville, Nova Scotia. Music became his true passion, however, and he idolized and emulated Fats Waller's stride piano style while playing with local pop orchestras. With Messer he adapted his style to old-time music, and his solo performances reflect a blend of pop standards and traditional jigs, reels, schottische, etc. He remained an Islander for 22 years, and was often featured solo on the hugely popular "Don Messer's Jubilee" TV show throughout it's run. Like many of Messer's musicians, he took a day job after Don's death and for many years drove a taxi cab in Halifax, still playing locally at night and occasionally backing fiddlers such as Graham Townsend and Bill Guest on recordings. These recordings have been arranged chronologically into two separate collections/folders. 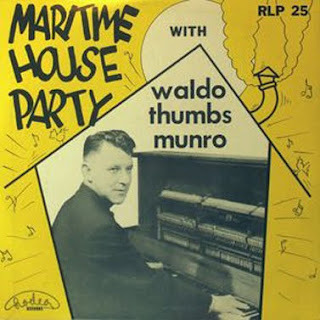 The first collection consists of three tracks originally released on Apex 78's in the early fifties ("Sicilian Tarantella" also features solo guitar by Islander Cecil McEachern) along with all fourteen tracks from Munro's 1955 LP "Maritime House Party", Rodeo RLP 25. 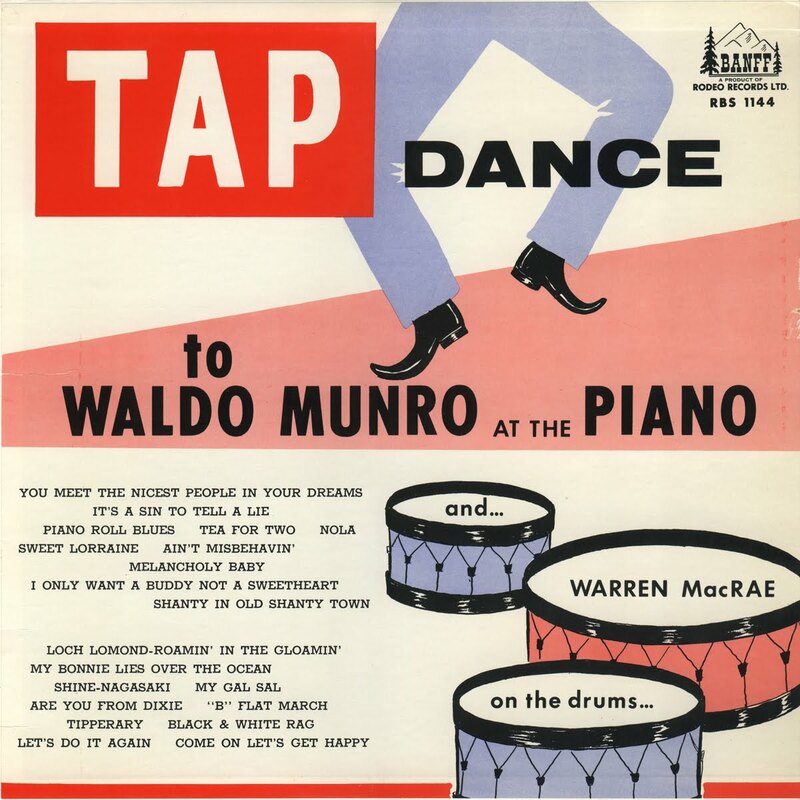 The second folder features the contents of two undated LPs, "Tap Dance to Waldo Munro at the Piano", Banff RBS 1144 and "Don Messer presents Piano Stylings by Waldo Munro", Point P-290. I would estimate the Banff LP c. 1960, and the Point LP c. 1965. An obituary of Waldo Munro can be read here. 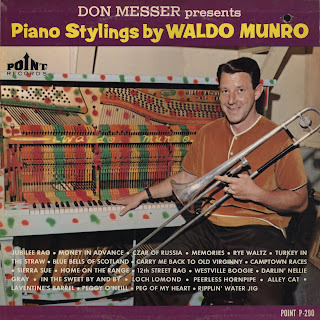 A wonderful YouTube video of Waldo backing Charlie Chamberlain on "The Broken Down Piano" and then playing a solo version of "Money Musk" is here.